This Cardif Health Insurance Company Review looks at the Financial American Insurance Group, formerly known as Cardif Insurance in the United States. BNP Paribas, one of the largest banks in France, reorganized to become BNP Paribas Cardif in 2011. BNP Paribas consolidated insurance company assets formerly known as Cardif Property & Casualty Insurance Company of Kerrville, Texas. Financial American Insurance Group’s parent company, Cardif Insurance (France), provides unemployment, disability, and life insurance products and services to clients around the world. The company’s primary focus is property & casualty insurance coverage. FAMPAC’s U.S. underwriter subsidiary, Interstate National Dealer Services, Inc., offers administration services to other insurance and financial services companies. Pause now to compare your health insurance rates with fast and free health insurance quotes—just supply your zip code! Then continue to read about the former Cardif Health Insurance Company and BNP Paribas Cardif to determine if the company’s products meet your health insurance requirements. You will learn about the company’s international strategy for the Cardif insurance brand name, products and services, and the breadth of parent company BNP Paribas Cardif. A.M. Best affirmed the company’s “A-” (Excellent) rating. The company’s Financial American Life Insurance Company (FAMLI) subsidiary, previously known as Cardif Life Insurance Company of Overland Park, Kansas, is rated “B++” (Good) by the rating agency. The company reported global sales in 2010 of approximately $128.56 billion (parent company). Sales declined by about 4.7% in 2010 vs. 2009, although the company reported a net income of about $10.39 billion. BNP Paribas Cardif reports total assets of about $2,647.96 billion, according to company financial statements. The corporation’s market value exceeds $48.8 billion. The company notes stronger sales of health insurance, credit life, and credit accident insurance products in the last fiscal year. Credit life insurance helps the deceased insured’s beneficiaries to pay off debts. Similarly, credit accident insurance helps the disabled insured to pay for the costs of an accident, or to maintain an uninterrupted income during a period of accident-related disability. The company also sells single-premium gap insurance. Gap insurance helps the insured protect the value of an asset, such as an auto, from the negative impact of financial depreciation in the event of an auto accident claim. Our research shows that the company does not sell traditional health insurance coverage or policies. BNP Paribas’s insurance subsidiary is known as BNP Paribas Assurance. The “Cardif” insurance brand focuses on the needs of individual and high net worth customers and is sold through the company’s retail banks in France. The company owns about 2,200 retail branch banks in their home country. BNP Paribas Cardif also owns Pinnacle Insurance, known as Cardif Pinnacle, and Insinger de Beaufort, a private bank. The company acquired a majority interest in European real estate company Klepierre in 2009. Outside of France, BNP Paribas owns and operates approximately 4,000 branch offices in 85 countries, including BNL Banca Commerciale. The company owns 75% of Fortis Banque (and benefits from approximately 1,500 branch locations in Luxembourg and Belgium). Fortis was near financial collapse in October 2008. BNP Paribas Cardif also owns Banc West, the holding company of First Hawaiian Bank and Bank of the West. Hill Street Capital, a U.S. investment bank, was purchased in 2010. Internationally, the company acquired Sahara Bank of Libya along with a majority stake in UkrSibbank (a large bank in the Ukraine of Russia). In 2011, the company also acquired controlling interest in Cadiz Securities of South Africa and Turk Ekonomi Bankasi in Turkey. According to research performed by BNP Paribas, few insurance customers in the United States associate the “Cardif” brand with the European bank. The company reports gross written premiums of more than 25.3 billion Euros in the 2010 fiscal year. About 48% of BNP Paribas Cardif’s gross written premiums were originated in the French market. Other important markets include Latin America, Asia, and Europe. 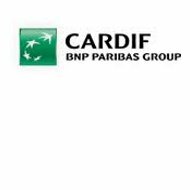 BNP Paribas Cardif employs about 8,500 employees in all locations. The company reported a negative 75% employee growth rate in 2010. Now that you are thinking about health insurance rates, why not request comparative health insurance quotes by typing in your zip code!